The special feature of the new DiaFlex fan-out connection is that the fiber whips can be removed and replaced via a connector system in the divider. 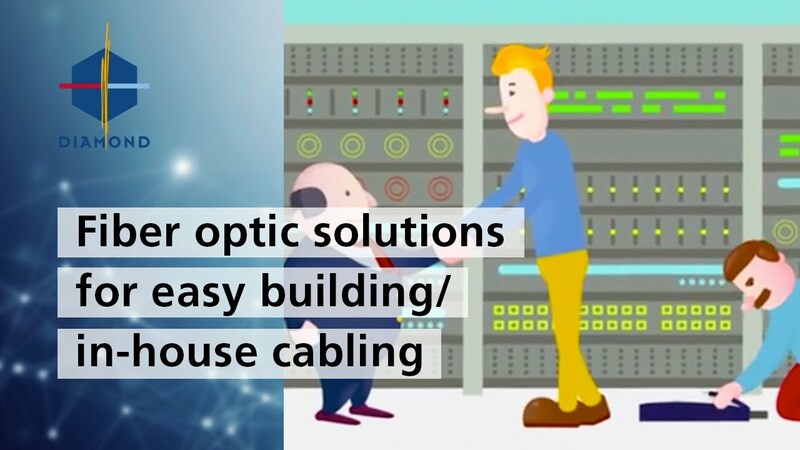 This provides greater flexibility in the installation of fiber-optic networks. Cable ends can be replaced flexibly, quickly and without spending a great deal of time or money, and cable installations can be extended as is necessary. Thanks to the feed-in cap, which has a small design, preassembled cables can be inserted directly into pipes or cable ducts. There is therefore no need for expensive splices. The cable and the fiber whips are manufactured in the fiber design and quantity that you requested, inspected and delivered with the corresponding test reports. The DiaFlex contains a DIAMOND multi-fiber connector (MFS) for 12 fibers (24 upon request).